The paragraph above is the author's introduction to this book which describes the exciting results of his years of study and research in the "Hidden Mountain" area. His conclusions considered highly controversial in some quarters are nevertheless if true of tremendous importance. He is thoroughly convinced that America possibly as long ago as 3500 years was once occupied by Hebrew mariners who left their mark with an inscription of the Ten Commandments. 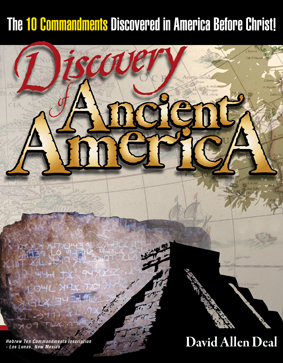 An excellent companion to America B.C. with many photos and drawings.